"Perhaps I was blinded to certain things because of the pain I felt for not being able to fulfill my role as a husband to my wife and a father to my children. But just as I am convinced that my wife's life while I was in prison was more difficult than mine, my own return was also more difficult for her than it was for me. She married a man who soon left her, that man became a myth; and then that myth returned home and proved to be just a man after all. As I said at my daughter's wedding, it seems to be the destiny of freedom fighters to have unstable personal lives. When your life is the struggle, as mine was, there is little room left for family. That has always been my greatest regret, and the most painful aspect of the choice I made. My children said, 'We thought we had a father and one day he'd come back. But to our dismay, our father came back and he left us alone because he has now become the father of the nation.' To be the father of a nation is a great honor, but to be the father of a family is a greater joy. But it was a joy I had far too little of." "For myself, I have never regretted my commitment to the struggle, and I was always prepared to face the hardships that affected me personally. But my family paid a terrible price, perhaps too dear a price for my commitment. In life, every man has twin obligations - obligations to his family, to his parents, to his wife and children; and he has an obligation to his people, his community, his country. In a civil and humane society, each man is able to fulfill those obligations according to his own inclinations and abilities. 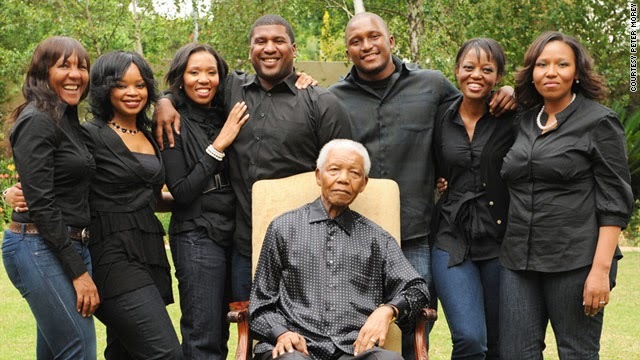 In South Africa, a man who tried to fulfill his duty to his people was inevitably ripped from his family. I did not in the beginning choose to place my people above my family, but in attempting to serve my people, I found that I was prevented from fulfilling my obligations as a son, a brother, a father, and a husband. My commitment to my people ... was at the expense of the people I knew best and loved most."